ON THE GO OC - Things to do with your family. : Urban Commons Gives Back on Board the Queen Mary! Urban Commons Gives Back on Board the Queen Mary! There are so many events that happen on board The Queen Mary throughout the year. I really love them all... there is something about being around that beautiful wondrous ship! From holiday festivities with CHILL to Halloween screams at Dark Harbor and a wedding on the open deck... The Queen Mary plays a huge roll in the Long Beach community. It's even more spectacular when this beautiful ship is used for a memorable moment. This year Urban Commons presented their charitable donation on board in a heart filled give back to Education and Women's Shelter in Long Beach. Here are all the deets, you can't help but feel emotional about it. I love the Queen Mary itself but being part of local charities makes the ship beyond priceless. 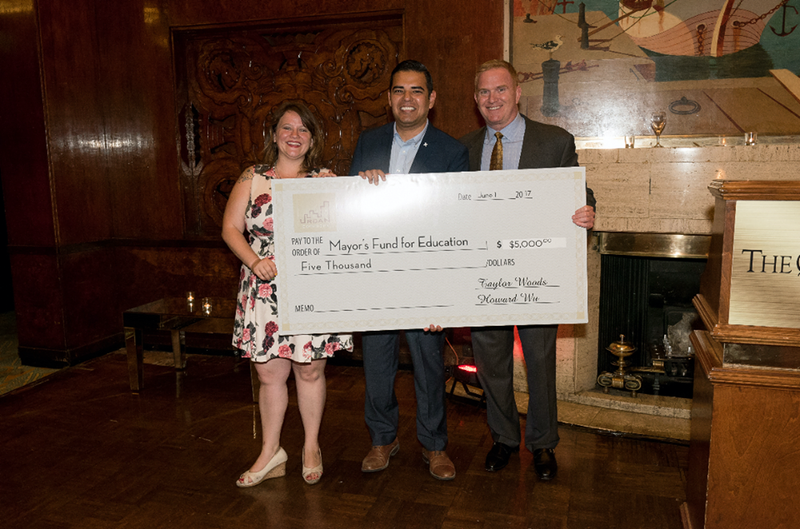 On Thursday, June 1, Urban Commons hosted a special celebration aboard the majestic Queen Mary to present $10,000 in contributions to the Mayor’s Fund of Education and The WomenShelter of Long Beach. At the event, the Mayor of Long Beach, Dr. Robert Garcia, and 2nd District Councilwoman, Jeannine Pearce, together presented a $5,000 check to each local Long Beach non-profit organization. The donations were made on behalf of Urban Commons. Urban Commons is currently working to restore the legendary Queen Mary to her glory days and is enhancing the historical ship to be a dynamic entertainment destination unlike any other. During the celebratory reception guests toasted to the legendary ocean liner and enjoyed a live performance by pianist Dwight Rivera. Thank you to all who were involved in the magical moment and wishing Urban Commons well on the restoration of the wondrous Queen Mary! Have you visited the Queen Mary? Get more info on special events and tours of the magnificent Queen Mary here.